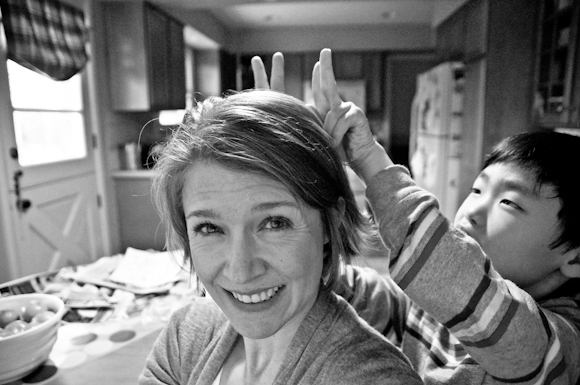 I’m a momâ€“wifeâ€“(slacker) bloggerâ€“amateur photographerâ€“animal loverâ€“book readerâ€“(gluten-free) bread bakerâ€“tea drinker. How goes the new (ok, not so new now) job? Hope all is well. I have a quick questions for you: what’s the name of the photographer that did D’s photoshoot? I have a friend who wants to get some pics of her little one done. Thanks! December 14, 2005. Will you please share the furniture maker’s (Marc) contact information. Thanks very much. Cristin, I wish I could help, but I Googled his company name and nothing comes up. I saw his furniture at an art show and bought it through that means. I know that the East Grand Rapids library has his furniture in their kids’ section. You might look them up and call to see if they can offer any info. Hey there … I came across your photo “Baking With My Buddy” and wanted to ask your permission to use it for my dictionary blog for tomorrow’s post. The word is ‘baxter’, which means baker, and I would of course fully credit and link. You can have a look at my site. I’ve left it a bit late so if you could let me know, it would be really appreciated, as it’s going out at 8am GMT : o / Great work by the way … I love your pics : o ) Best regards, Eddie. Sorry, Eddie…I missed your comment in the midst of our spring break craziness. Thank you for asking. I appreciate the request and the compliment. My apologies for leaving you hanging, tho! I love the bowling picture from Rockford Lanes. I wanted to ask your permission to use it in an upcoming feature I’m doing on the city. Can you email me or phone me? 616-307-7015.